On this edition of Talk of Iowa, host Charity Nebbe talks with Karen Impola and Barney Sherman to look back at some of the best things to come out of the year in folk and classical music. Barney Sherman is an Iowa Public Radio classical music host, and Karen Impola hosts Iowa Public Radio's The Folk Tree and University Concert. All tracks are listed in the following order: artist - album - track title. 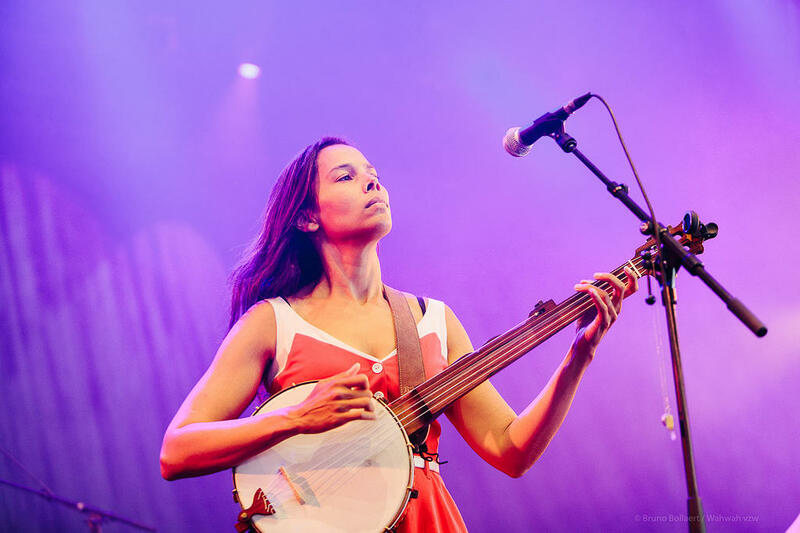 "Giddens is a founding member of the Carolina Chocolate Drops. She’s classically trained, but very attuned to traditional styles, especially those of her African-American heritage. This song comes from Sister Rosetta Tharpe, a gospel singer whose 1940’s recordings influenced many fledgling rock & roll performers." "It sounds like a very strange concept, but it works. Iris Dement, whose voice has the rustic purity of early country music, sets the poems of early 20th-century Russian writer Anna Akhmatova to music. The results sound like existential hymns from some imaginary backwoods. Husband Greg Brown provides backing vocals on this one." Jayme Stone’s Lomax Project - "The Devil’s Nine Questions"
"Jayme Stone is a Canadian banjo player and musical instigator. On this album, he teams up with various roots musicians to re-imagine some of the music collected by the great American folklorist Alan Lomax, who was born 100 years ago. I had a hard time choosing a track from this album because it’s so varied. It’s got everything from blues to calypso to a Scottish ballad. I finally went with this song, collected in Virginia but with roots going back to Britain. It’s been souped up with a syncopated rhythm and body percussion." Various artists - Joy of Living: A Tribute to Ewan MacColl - "Shoals of Herring (sung by Seth Lakeman)"
"Ewan MacColl was a folk song collector, playwright, political agitator, radio producer, and above all, a very fine songwriter. In the late 1950s and early 1960s, he worked on a groundbreaking project for the BBC called the “Radio Ballads”. MacColl and his partner Peggy Seeger interviewed working people in Britain and combined their words with newly-composed songs that reflected their experiences. This song is from the radio ballad “Singing the Fishing”, and was based on the experiences of fisherman Sam Larner, who was also a fine traditional singer." You can listen to the radio ballad “Singing the Fishing” in its entirety here. The Earls of Leicester - The Earls of Leicester - "Till the End of the World Rolls Around"
"The name of the band is an homage to bluegrass pioneers Lester Flatt and Earl Scruggs. An all-star cast including Jerry Douglas on dobro, Tim O’Brien on mandolin, and fiddle player Johnny Warren (son of Flatt and Scruggs original fiddler, Paul Warren) came together to introduce these songs to a new generation." Katie Dahl - Ordinary Band - "Bicentennial"
"This Door County, Wisconsin, native is a new discovery for me. I met her and heard her perform at the North American Folk Alliance conference in Iowa City in October, and was impressed by her voice and by the sincerity and humor of her songwriting." Jesse Milnes & Emily Miller - "Deep End Sessions, vol. 2 - Fun’s All Over"
"Jesse and Emily are both excellent fiddlers and guitar players, well-versed in old-time and early country music, and they harmonize like they share the same brain. This album is one of a series of live concert recordings made at the Deep End Ranch in Santa Paula, California (hence the “Vol. 2”, even though it’s the duo’s first recording together). Jesse plays fiddle and Emily plays guitar on this one." Le Vent du Nord - Tetu - "Papineau"
"This French-Canadian band has been around for many years, but this is the first one of their albums that’s found its way to the IPR library. This song is a fictionalized account of an incident from Canadian history." Charlie Parr - Stumpjumper - "Empty Out Your Pockets"
"Minnesotan Charlie Parr has made at least a dozen recordings, but this is his first one on the Red House label (which is a major label as far as folk music is concerned). He’s influenced by many of the great country blues performers, but puts his own spin on the music." Beppe Gambetta & Tony McManus - Round Trip - "La Bergamasca"
"An Italian and a Scotsman, both guitar virtuosos, team up, and the result is magical. This is a traditional Italian dance tune." JS Bach – The Cello Suites – "David Watkin (Proprius label)"
"David has been keeping very much up to date with the latest scholarship, and he actually plays this excerpt on a 5-string cello, of the sort that Bach wrote for, that's since gone out of style. He goes way beyond into the heart and the humanity of it." Kevin Puts – Seascapes- "Bridgehampton Chamber Music Festival: (Excerpt: “Rounds for Robin” played by Marya Martin, flute, and Orion Weiss, piano)"
"Kevin is typical of something going on in American composing. He says that his number one concern is communicating with the audience. Rounds for Robin is a memorial to Robin Williams. Instead of a lament, it tries to embody something of Robin William's spirit and humor." "Not only does Daniil play this piece, and his playing is just magical, but there's also the piece he composed in the style of Rachmaninov, so that breakdown of some people playing and some people writing...we're getting less of that division of labor." "Anthony DeMare commissioned 36 composers from many genres and age groups to reenvision Sondheim's music." "This breaks all kinds of boundaries. First is the gender barrier. The famous composers are almost all men, and here is a disc from Finland with five women composers. The second boundary it breaks down is the boundary between classical music and serious indie or pop music." "It has 54 separate parts; no other work of that era (1600s) has quite so many notes in it. The manuscript fills seven square feet. It was rediscovered by a grocer who has about to wrap vegetables in it in 1870. With all those notes, many performances sound overblown, but this one is beautiful, subtle, with deep emotion. The 54 musicians are spread around different parts of the cathedral, and you can hear it." "One of the things that was supposed to have been dead was major record companies recording operas with top stars in the studio, but it happened this year and it's sensational." "Rachel is a person with no boundaries; she also plays in a heavy metal band. She plays this Vivaldi piece on an old instrument called a viola d-amore, a viola with sympathetic strings that just vibrate." "Forty years ago under Soviet rule, Arvo came up with a solution to his musical problems, he was tired of modernism, and it was the sound of bells that gave him a new way of writing music. It's called holy minimalism sometimes." "The first half is Italian, the second is English, including some silly tin pan alley songs, and they have such a great time and so does the audience." "The Royal Consorts are basically danced based, but they go way beyond dance. This is such a rich, beautiful sound." "I think this CD would make a great stocking stuffer. It's a reconstruction of Bach's first Christmas service. It's so joyful, with this olden sound. The music sounds like a branch flowering." "Giovanni Valentini was the biggest name in Vienna in the early 1600s, and this was the first recording of his music." "If you are a Monty Python fan, you've seen the sketch with the pianist banging out the first chords while excaping from a burlap bag, but it turns out Tchaikovsky actually wrote a different opening. The chords are supposed to be strummed like a harp. And Kyrill Gerstein recorded it for the first time that way." 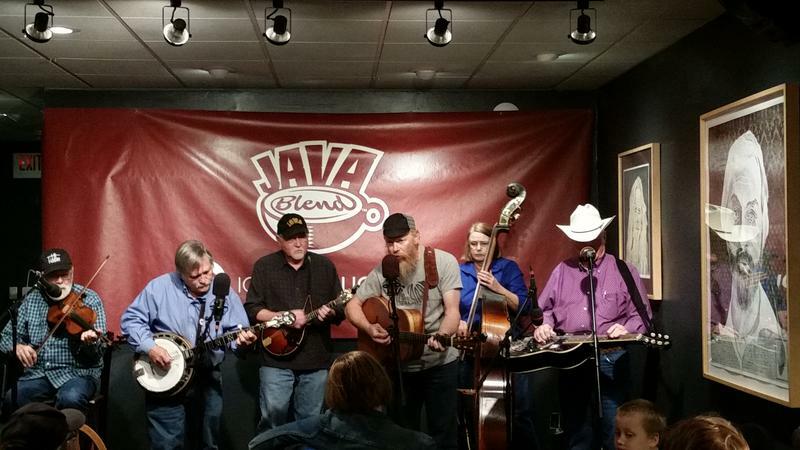 On this episode of IPR Studio One's "Java Blend," Iowa City's very own Burlington Street Bluegrass Band takes the stage at the Java House in downtown Iowa City with host Ben Kieffer. Listen in to hear some of the group's impressive playing, as well as some amusing insight into their 200 years of collective experience playing music. 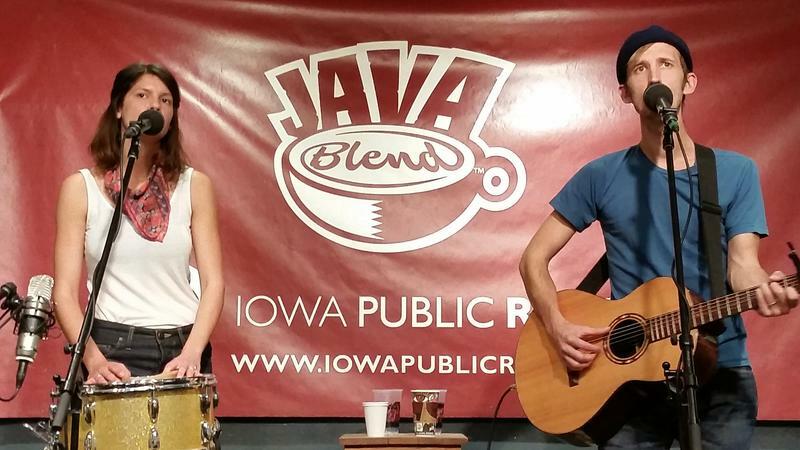 In this episode of IPR Studio One's "Java Blend," North Carolina folk duo Lowland Hum stops by the Java House and talks with host Ben Kieffer about their extensive traveling and how it has influenced their music. Listen in to hear tracks from the group's new self-titled album.